This blog outlines the available E-Invoicing options in the Benelux region with and without PEPPOL. PEPPOL (Pan-European Public Procurement OnLine) is an international project aimed at standardizing cross-border, electronically supported public procurement procedures within the European Union. PEPPOL is becoming more and more common in many EU countries. Meanwhile 11 countries have nominated their respective national PEPPOL Authority which drives PEPPOL in their country. In Belgium, the Netherlands and Luxembourg, different initiatives have led to an increasing rate of adoption when sending invoices to the local authorities (Business-to-Government, B2G). Further information about PEPPOL can be found on the information page of the Open PEPPOL Initiative or the SEEBURGER Blog. E-Invoicing has been used for many years in the Benelux countries due to the legal equality between paper and electronic invoices. Although commercial considerations have been the most important drivers in the past for companies to adopt E-Invoicing, we have seen that governments are now promoting the digital trend by enforcing companies to send electronic invoices to the government. With E-Invoicing there are two aspects to be considered, the data format and the communication. PEPPOL defines its own data format called PEPPOL-UBL; however in various countries there are different formats already in place. The PEPPOL network can transfer these other formats too over the so called PEPPOL Access Points. Belgium adheres to the European vision that E-Invoicing and e-Procurement can generate an enormous efficiency increase and as well as delivering savings of up to €3.5 billion per year in Belgium – and this just for B2G (business to Government) E-Invoicing. The platform used for B2G E-Invoicing is called Mercurius. In 2016, Belgium decided to enable Mercurius to accept the PEPPOL format and thus Belgium is one step further towards interoperability with the private sector. 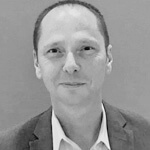 BOSA DTO (formerly Fedict) is the Belgian PEPPOL authority and in charge of the Mercurius platform. 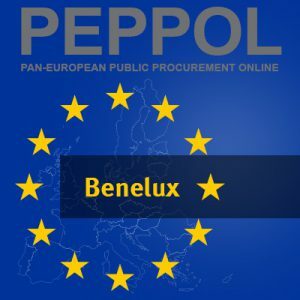 The roll-out of PEPPOL in Belgium is a key-component of the Belgian e-Procurement generalization strategy. In 2017 B2G E-Invoicing has become mandatory in Flanders and since 2018 it has become mandatory on a federal level for all contract volumes higher than €135K. The plan is to further roll-out B2G E-Invoicing to all the other local governments so that in the future all B2G invoices in Belgium are electronically exchanged. Suppliers with small volumes of invoices can enter their invoice manually in Mercurius to send them to public sector authorities. In order to send larger numbers of invoices electronically one needs to be able to create the PEPPOL data format PEPPOL-UBL and have a connection to a PEPPOL access point. Larger companies with a variety of E-Invoicing requirements should consider a competent solution provider. The Dutch government had already implemented part of the Directive 2010/45/EU in national law in 2012, simplifying rules in the field of billing regarding the levying of VAT and harmonizing the requirements for paper-based and electronic invoicing. While all central government suppliers have been obliged to submit invoices electronically for every new procurement contract since 2017, B2G E-Invoicing will become mandatory for all public authorities in the Netherlands effective on the 18th of April 2019. The digital government service of the Netherlands Ministry of the Interior and Kingdom Relations provides an electronic services portal, called Logius, which also provides the entry points for E-Invoicing to the Dutch public sector authorities. Digipoort is the Logius Service for automatic processing over a direct connection. This requires setup and maintenance of the connection by the supplier. Simplerinvoicing which is also the so called Dutch PEPPOL authority. It is not a service provider but more of a network of primarily accounting software vendors and local solution providers. .
Over competent solution / service providers which access Digipoort over PEPPOL and provide a full service (locally in the Netherlands called “Intermediaries”). SEEBURGER is one of them. Dutch public authorities are demanding Dutch specific UBL formats (UBL-OHNL , SI-UBL & SETU (HR – XML) for E-Invoicing messages which reach the Logius access portal. For the options 2-4, the conversion into these formats can either be done by the supplier or a service provider. For suppliers with a small number of invoices or with only local B2G E-Invoicing requirements, a manual upload or using accounting software standards makes sense. Larger companies with a variety of E-Invoicing requirements should consider solution providers (an “intermediary”) which give them via a PEPPOL access point the necessary access to Digipoort (to send to B2G authorities) and also have competences to support the different E-Invoicing data formats in Europe. Through such an intermediary, the E-Invoicing process can be fully automated without the effort of maintaining a direct connection to Digipoort. This connection to the solution provider can be reused to ease E-Invoicing in other countries. The Luxembourgish government plans to transpose the E-Invoicing Directive 2014/55/EU into national legislation in 2018/2019. E-Invoices can be used already today for B2G E-Invoicing towards public authorities; however it should be noted that at the moment the public authorities are still processing the received E-Invoices manually. E-Invoices can be submitted via a PEPPOL access point. The Luxembourgish government meanwhile obliges the use of a PEPPOL access point by all governmental organizations and is pushing these organizations to integrate E-Invoices with the government’s accounting system, so that in the future, processing and payment could become fully automated. Nevertheless, B2G suppliers in Luxembourg should start to do E-Invoicing as the savings on their end in comparison to paper invoices are obvious. SEEBURGER Cloud Services enable you to quickly and easily send EU-compliant electronic invoices to public administrations and other PEPPOL partners in Benelux. For an easy and safe implementation, it makes a lot of sense to work with a partner who really understands E-Invoicing with or without PEPPOL, and has long experience in ERP system integration, electronic formats and highly scalable cloud services in different countries. SEEBURGER Cloud Services provide a pre-configured E-Invoicing Cloud Service for Benelux and beyond. It seamlessly integrates with SAP and any other ERP system, provides the necessary communication to all B2G authorities and includes legally compliant archiving for Belgium, the Netherlands and Luxembourg. Dirk Geerts, Senior Sales Executive bei SEEBURGER, verantwortlich für die Vertriebsaktivitäten von SEEBURGER Benelux auf dem belgischen Markt, verfügt über mehr als 15 Jahre Erfahrung in der Welt der Eingangs- und Ausgangsrechnungsbearbeitung und arbeitete für verschiedene Unternehmen. Dirk ist seit April 2018 bei SEEBURGER tätig.